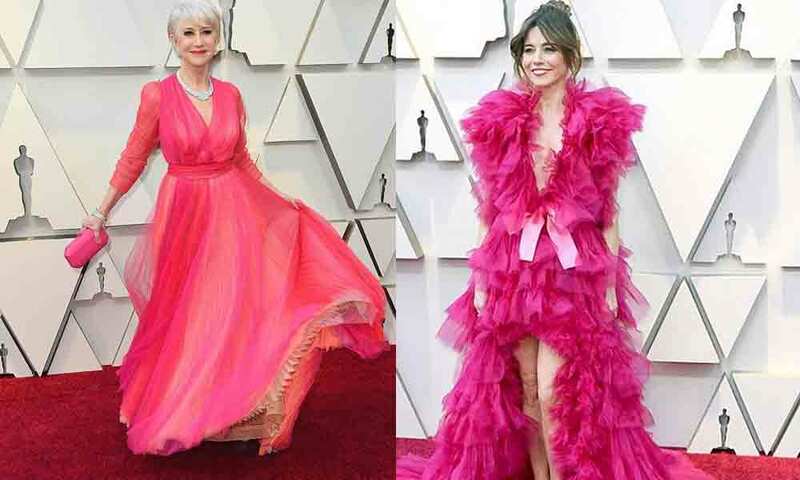 Home Celebs Oscars 2019: Pretty or Not so Pretty in Pink? Oscars 2019: Pretty or Not so Pretty in Pink? The 91st Academy Awards Oscars 2019 were held over the weekend and it was indeed a grand affair! Held in the USA, the prestigious award ceremony saw Hollywood’s bigwigs like Julia Roberts, Brie Larson, Helen Mirren, and people just loved their appearances. We witnessed some stars dressed to the nines, flaunting luxurious designer wear. The rest tried very hard to steal the sartorial spotlight and failed. Without further ado, here is the list of stars who rocked their dresses and wowed us with their style statements. Julia Roberts in a gorgeous pink dress! Brie Larson looks amazing in a silvery-sleek dress by Celine. The gorgeous Amy Adams in a Versace gown which fits her perfectly! Flaunting a perfect diamond necklace, her hair, and makeup also on point. Finally, we have the queen of the night Emila Clarke in a Balmain dress. The beautiful gown suited her beautiful face and framed her perfect body. We were left in awe of her hair and makeup. Maya Rudolph outfit leaves much to be desired. The overpowering floral print resembles the prints used on drape curtains and the explosion of pink does not flatter the dress either. Kasey Musgrave pink’s ruffle dress was probably the biggest fashion fail of the night. Clearly, she failed to look in the mirror before getting out of the house. Rachel Weisz, who is so gorgeous, decided to wear an unflattering dress. Her grace, however, lets her get away with it. Is that top plastic? Her slicked back hair with a headband had disaster written all over it. Sarah Paulson decided to wear a pink crop top for the night and it was a major disappointment. The award for the worst dress goes to Linda Cardellini. Amidst all those ruffles, the pink sash was definitely not needed.